Sheffield comedy collective Stürike Comedy’s show is entirely improvised, live in front of the audience. The group, celebrating their 10th anniversary, have created this new improvised show format from scratch. 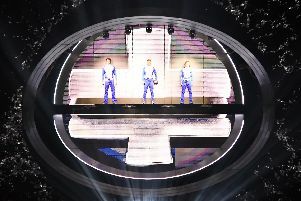 The show was inspired by the group’s love for the classic high school films of the past 30 years, such as Ferris Bueller’s Day Off and The Breakfast Club. The group have spent the past few months familiarising themselves with as many high school films as they could get their hands on. “The show is a celebration of Hollywood’s depiction of the American high school,” said Teen High’s head director and coach, Joe Thompson.